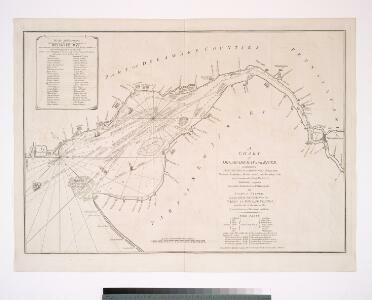 A chart of Delaware Bay and River / from the original by Mr. Fisher of Philadelphia, 1776. 1 : 190000 Tanner, Henry S.
1 : 735000 Mitchell, Samuel Augustus Jr. The State of New Jersey, 1877. 1 : 380160 Howell, George W.
1 : 760320 Johnson, A.J. 1 : 760320 Colton, G.W. 1 : 790000 Tanner, Henry S.
1 : 760000 Goodrich, S.G.
1 : 1013760 Lucas, Fielding Jr.
1 : 1191168 Henshaw, Frances A.